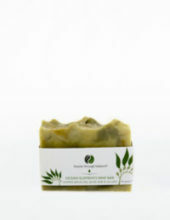 Enjoy a relaxing, revitalizing and re-energizing soak! 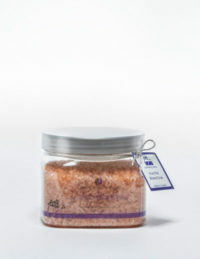 This is an invigorating & rejuvenating dry salt soak for hands, full body and feet, created with Organic Açai pulp powder, mineral rich red clay, along with an exotic scent from pure essential oils. SKU: 306 Categories: Bath, Beauty Through Balance Brands: Beauty through Balance. 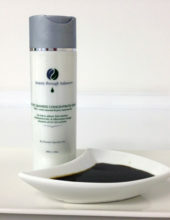 Offered in 500ml jar (recyclable material). Benefits * Used as a therapeutic bath treatment to re-mineralize, re-energize and provide anti-oxidant benefits to dry/mature skin. 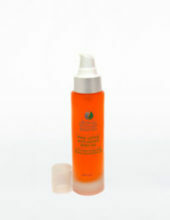 * Targets sun exposed skin while infusing minerals to renew and repair. * Comes in a recyclable jar. * Beneficial for those with muscle tension & mind/body fatigue. Recommended Use Used as a therapeutic bath treatment. Ingredients Key Ingredients: Acai Organic Pulp Powder, Indian Himalayan salts, mineral rich red clay and pure essential oils.